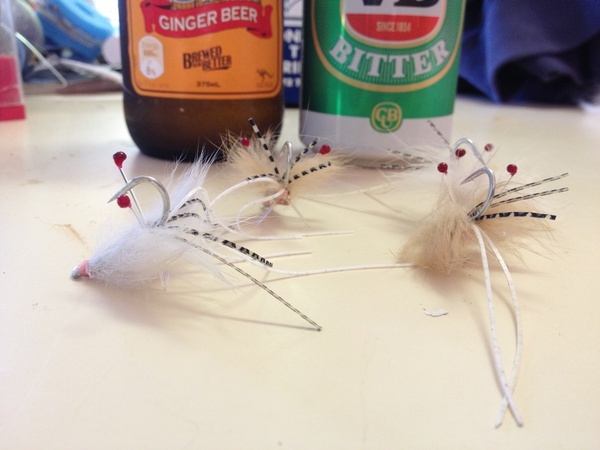 Sydney Flyfishing Tours: Flies and flyfishing products - Shrimp anyone? Posted on 14/11/2013 at 10:15 AM. Posted on 14/11/2013 at 04:16 PM. have you got dumbbell eyes in there somewhere ? 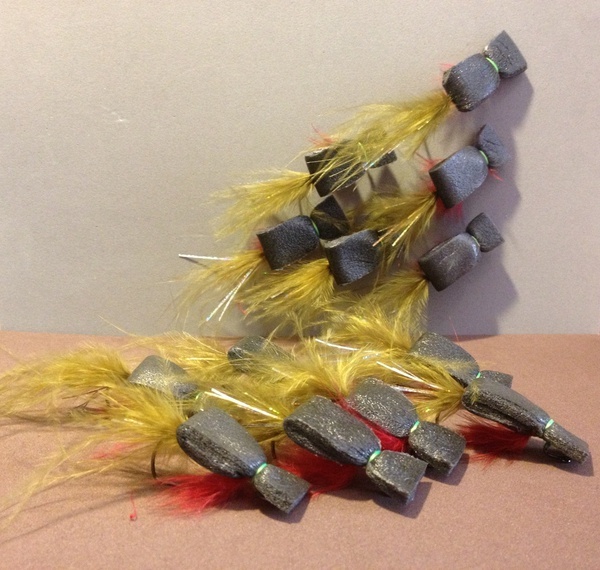 or are they a top-water shrimp ?? Posted on 14/11/2013 at 06:54 PM. Bluecod, Just in under the grizzly legs, medium size. Tied on Gama B11 3H #1. The video demo recommended Mustad 34007. Those shrimps are going to thrown at goldys!!! Posted on 14/11/2013 at 07:13 PM. Just in under the grizzly legs, medium size. Posted on 14/11/2013 at 10:08 PM. Posted on 25/11/2013 at 10:37 AM. Rolled up some bulky gurglers over the weekend. Bassin tonight!! Posted on 25/11/2013 at 12:10 PM.